Today we will be talking about Best Reverse Osmosis Water System. 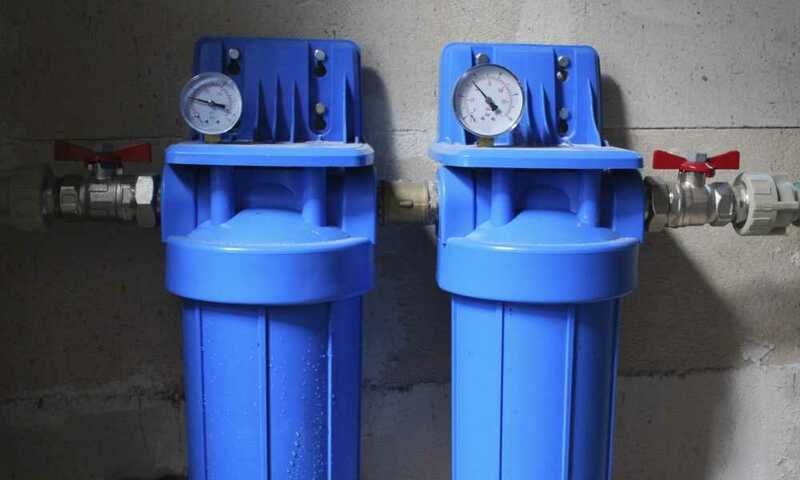 Reverse osmosis (RO) water system is not a very simple piece of equipment. 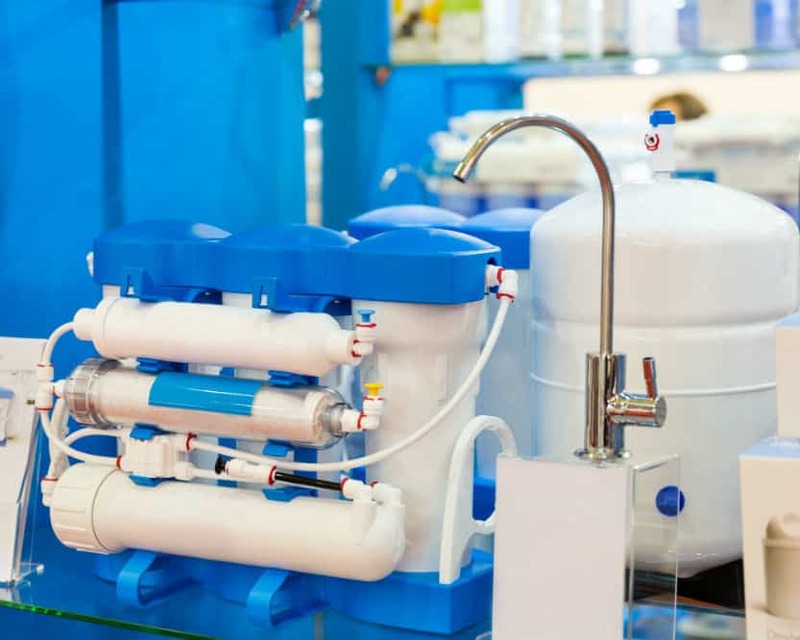 If you are looking to buy the best reverse osmosis water system, there is a lot you have to look into and compare before making a final decision. This is why we have selected the three best options for you in this detailed review. You can look into the features and benefits offered by our top choices, and the reasons why these three made to the top of our list. 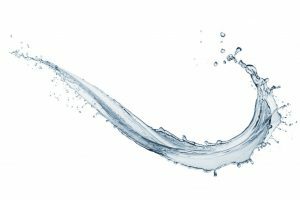 Why do you need the best reverse osmosis water system installed in your home? The simple answer is, to make sure that your family is drinking filter and safe water. 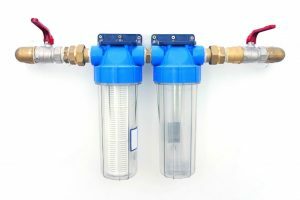 As reverse osmosis water system filters water and removes all unwanted chemicals and contaminants, most people don’t want to compromise on the quality of the system they want as it directly affects the health of our families. If you are one of such people, keep reading to learn about the three best systems. There are plenty of reasons to feature this product as our top choice. 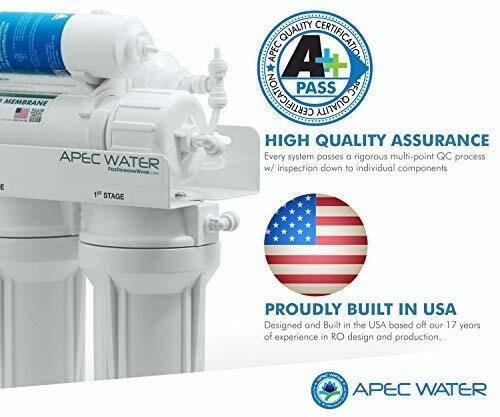 First, the ROES-50 Water Filter System is manufactured by APEC which is the well-known brand for its high-quality water filtration systems. 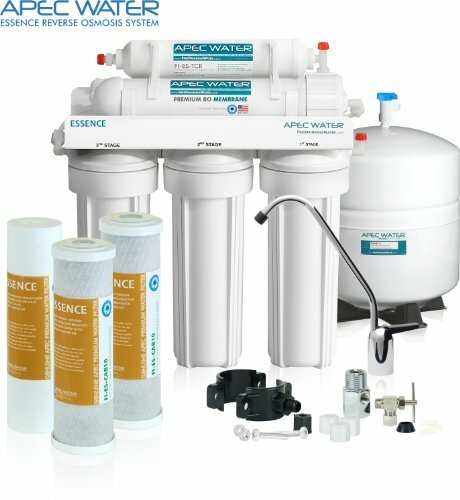 This product is among the best RO systems offered by APEC. Even if it consists of five stages to filter the water, the compact system is small enough to fit in a kitchen cabinet. Also, the water filter promises to filter 99% of the unwanted contaminants from the water as the water passes through the state-of-the-art 5-stage reverse osmosis process. 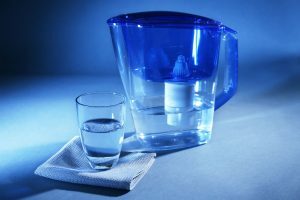 It can easily filter out more than 1000 contaminants from the water which include heavy metals, bacteria, chlorine, lead, virus, and fluoride. This water filter system promises to provide better quality water than bottled water. 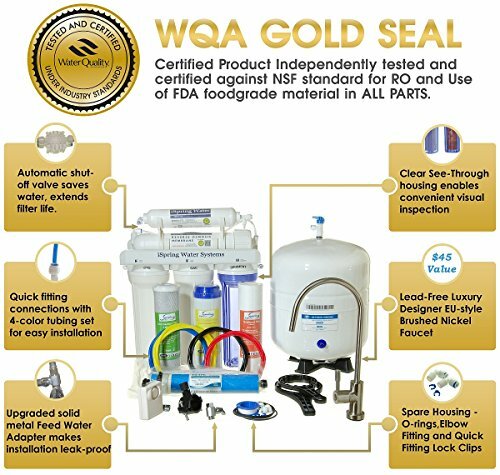 It uses FDA certified JG Food grade tubing along with 100% lead-free chrome faucet to ensure contamination-free pure and healthy water. The water filter system also uses double carbon blocks that can guarantee removal of 99.99% chlorine chemicals from the water. It also weighs only 25 pounds and comes with dimensions of 16 x 5.2 x 17.5 inches. And the filters also last longer than average RO systems. You have to change the filters for the first three stages after every six months. The fourth stage that is RO membrane and the fifth stage coconut shell can be replaced after two to three years based on the use. The quality of faucet is not good compared to other products. Even though common with all RO systems, this product wastes two gallons of water for producing one gallon of water. If water consumption in your family is high, the iSpring RCC7 RO system is the best fit for you due to its higher capacity and daily output. Compared to our first option that produces 50 gallons a day, this one produces 75 gallons of pure water. The water is stored in high-capacity 3.2 gallons pressurized water tank until it is used. It also consumes less amount of water compared to some other similar systems. Unlike the ROSE 50 which uses three gallons of water to produce one gallon, this one uses only two gallons of water to produce the same amount of water. 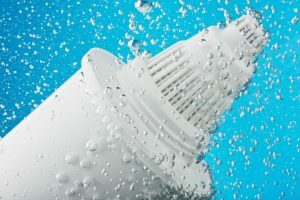 It is also based on five-stage reverse osmosis filter system that promises to filter 98% of the unwanted contaminants from the water. It also adds necessary minerals to the water to make water healthier and tastier. The filters also last longer as you have to change filters for the first three stages after every six months and for the last two stages, after every two to three years. 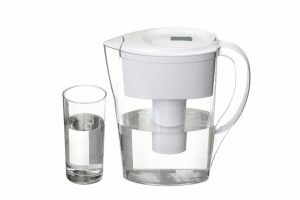 It weighs 25 pounds and is larger than other similar systems due to its higher water filtering capacity. Third, on our list is another model from APEC. The ROES-PH75 Water Filter System is an upgrade of the first version when it comes to the capacity and output. It also adds one more stage to the filtration process to provide 99% pure water. 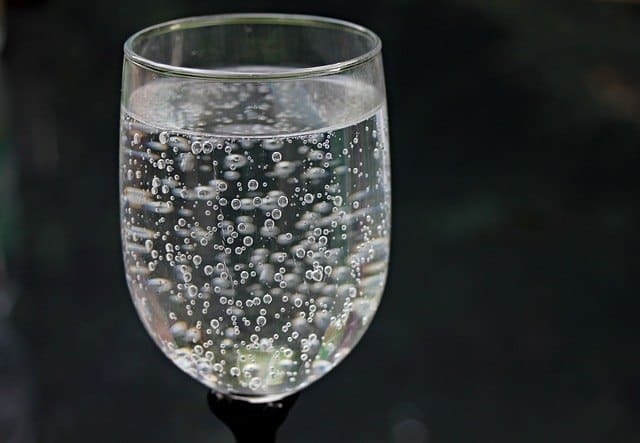 In addition, the sixth stage filtration adds alkaline and calcium minerals to make water healthier and tastier. It comes with a feed water pressure of 40 to 85 psi. 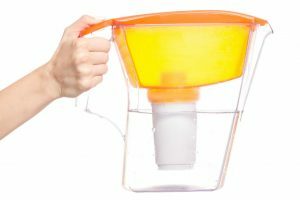 It produces 75 gallons of pure, healthier and tastier water and removes almost all unwanted chemicals, bacteria, virus, and odor from the water. Even though it is slightly larger than 5-stage and smaller capacity RO systems, this one can still fit in an average size kitchen cabinet. 99% of over 1,000 contaminants, including lead (removes up to 98% of lead), chlorine, fluoride, arsenic, hormones, asbestos, calcium, sodium, bacteria, giardia, viruses and more. 99% of bacteria, viruses, cysts, organics, chemicals, arsenic, barium, cadmium, chromium, fluoride, copper, lead, radium, and more! To conclude, all three products listed above are excellent for use but comes with different features and benefits. If you are looking for the purest water possible, the products from APEC are the best as they offer 99% pure water. If you want the best value for your money, choose APEC ROES-50 because it produces 50 gallons of pure water a day. But, if your daily consumption is more and you want to waste a lesser amount of water, the iSpring RCC7 water filter system is the better option. You can also check the best home reverse osmosis system for your family. 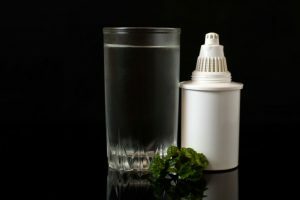 Previous Post Best Backpacking Water Filter to Keep You Hydrated During Your Outdoor Activity Next Post Can You Filter Salt Water to Have Enough Water Supply?